Celebrate the Milk Tradition in May | Winners Drink Milk! 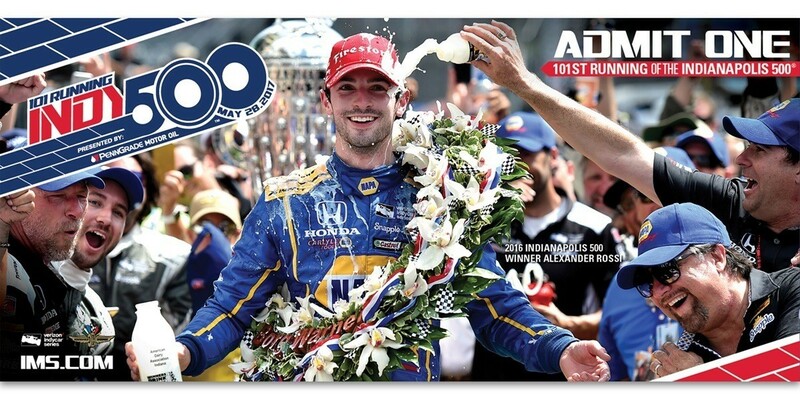 It’s hard to find a picture of the winning Indy 500 driver without a cold bottle of milk hoisted in one hand. Ever since the early 30s, milk has been a staple at the Indianapolis 500, but what about the other 29 May days. 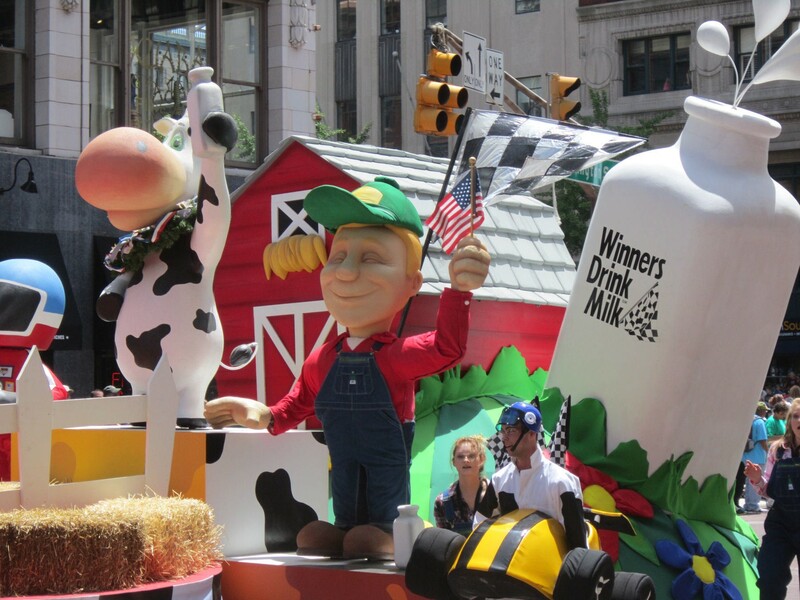 Our Indiana dairy farmers are proud to provide milk and share the long-standing milk tradition with athletes, parade fans and race goers all month long. We hope you’ll join us as we continue celebrating the tradition! 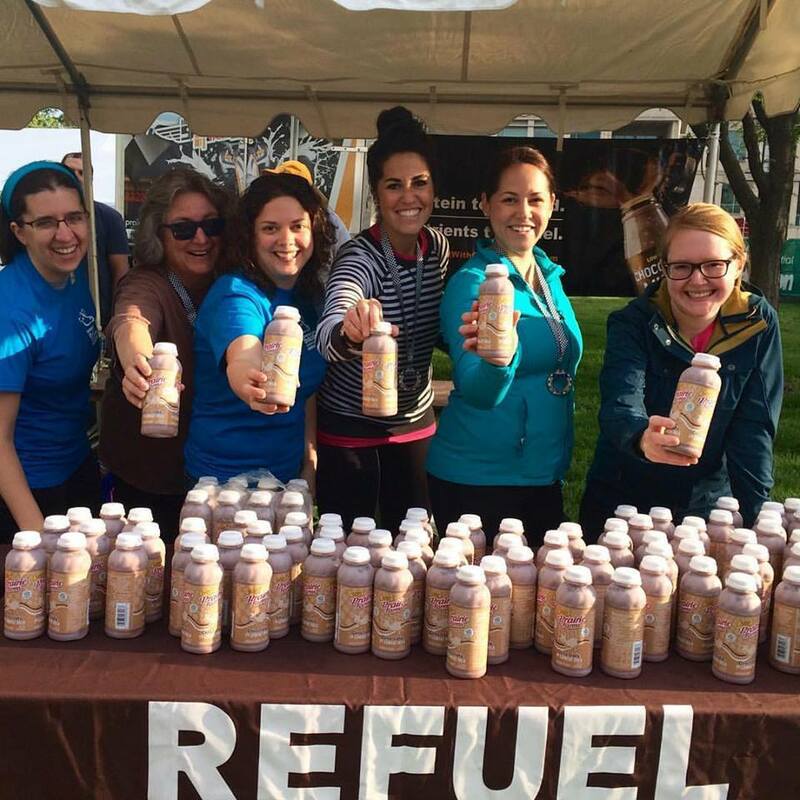 Refuel after your run with a delicious bottle of ice cold chocolate milk. The perfect carbohydrate to protein ratio will help you refuel and relax after you’ve worked so hard! And don’t worry, you don’t have to be an elite runner to receive a free bottle– we’ll have 12,000 on hand! This year, we’re the official social media sponsor of the Rev Indy Event. During the month of April, we’ve asked dairy fans to post their victory using #WinnersDrinkMilk. For every post, we’re donating $100 to the IU Health Methodist Trauma Center. It’s been a great way to celebrate dairy while also fundraising for such a necessary cause. Every year, we design a pin that die hard race fans and collectors adore. This year, we’re proud to honor the Memorial Day tradition with a salute to the red, white and blue. Join us as we giveaway thousands of pins outside of the Indianapolis Motor Speedway Pagoda! 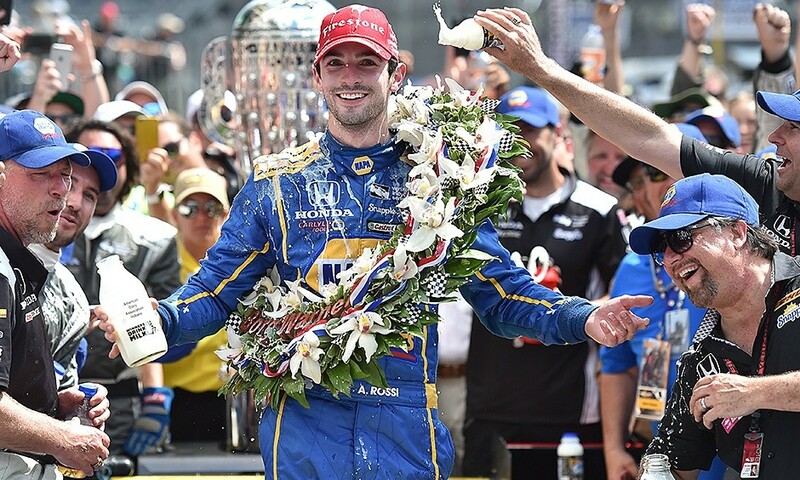 A closed event, but last year’s Rookie of the Year, Alexander Rossi, went on to win the 100th running of the Indianapolis 500. 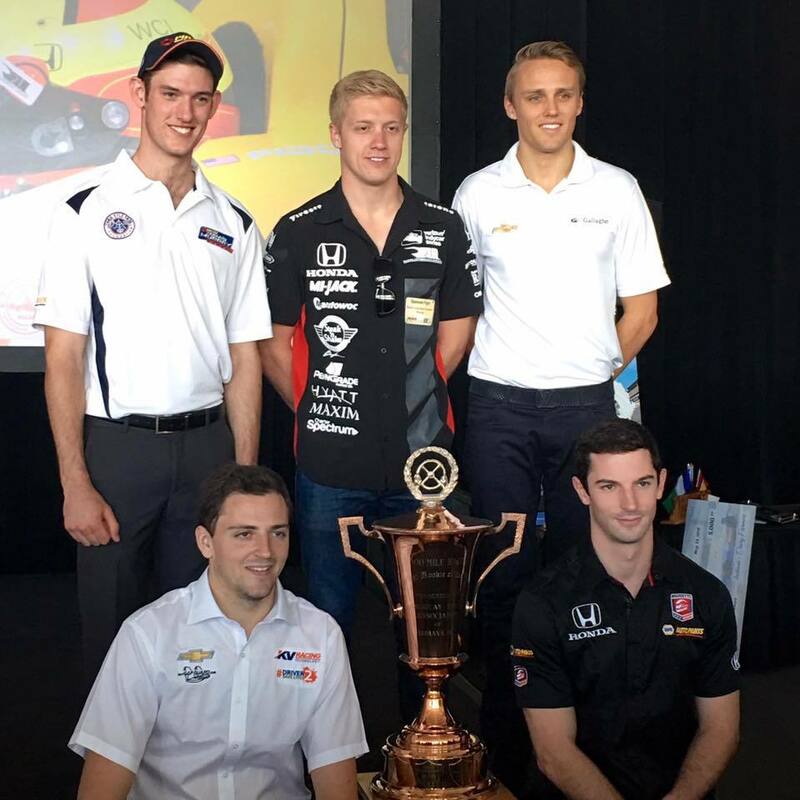 Stay tuned for this year’s rookie class– we hear it’s gonna be a fast group! “The Greatest Spectacle in Tortoise Racing” is in its 38th year! 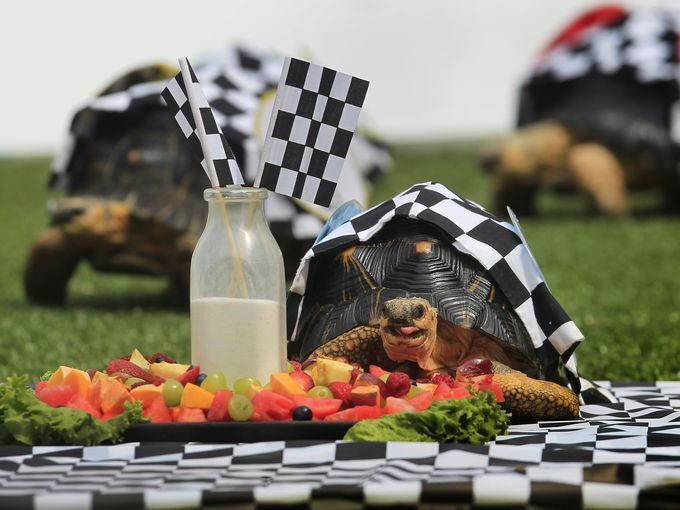 Each tortoise represents an Indy Car driver, and just like the tradition at the 500, the winning tortoise receives a bottle of milk [and a fruit tray]! This year’s float is getting a makeover and we can’t wait for its debut! Our 2017 Indianapolis 500 milk man and the Rookie milk woman will be on board waving to dairy fans young and old. Our most favorite tradition during the month of May– a dairy farmer presents ice cold milk to the winning Indianapolis 500 driver! Follow us all month long on social media (@INDairy) for contests, exclusive pictures are more!